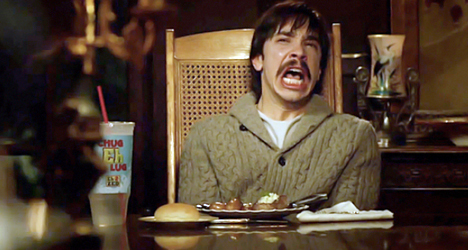 Justin Long gives a new meaning to "blubber" in Kevin Smith's horror/comedy "Tusk." After breaking into the independent film scene with “Clerks” in 1994 and developing a strong cult following with other projects like “Mallrats,” “Chasing Amy” and “Jay and Silent Bob Strike Back,” Smith, in recent years, has decided to switch gears and give audiences a peak into the more sinister sections of his creative mind. He started in 2011 with “Red State,” an ultra-violent film featuring a group of religious fundamentalists who abduct a trio of teenage boys and hold them prisoner in their church. While the movie was something completely different than he had ever tried before, the controversial storyline of the horror/action flick far outweighed Smith’s execution. The setback, however, hasn’t stopped him from continuing down this unfamiliar path for his next movie “Tusk,” an attempt at dark horror comedy that illustrates Smith’s total ignorance when it comes to separating shock value and humor. ”Tusk” would’ve been a barrel-full of laughs if it wasn’t so disturbing. 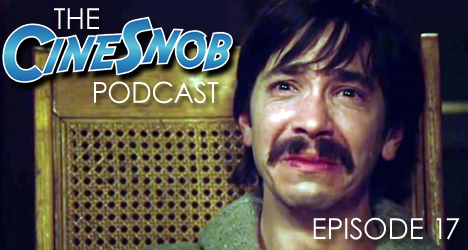 In “Tusk,” Justin Long (“Drag Me to Hell”) stars as Wallace Bryton, an obnoxious podcaster who, along with his sidekick Teddy Craft (Hayley Joel Osment), co-hosts a popular internet show called the “Not See Party,” wherein Wallace interviews (and at times exploits) interesting guests and then returns to the studio to share his experience with Teddy on the web. When an upcoming guest kills himself before Wallace can conduct his interview, Wallace is forced to find a replacement interviewee on short notice. When he stumbles upon a flyer from a man named Howard Howe (Michael Parks), who promises loads of fascinating stories to share with him, Wallace takes him up on the offer. It turns out Howard is a maniac (think Buffalo Bill from “The Silence of the Lambs” meets Dr. Moreau) and before he knows it, Wallace is facing a situation many would consider worse than death. Without giving too much of the reveal away, let’s just say Howard has a sick fascination with walruses, a talent with the stitch, and a total disregard for human life. The twisted mess Howard creates isn’t the type of image you can easily scrub from your mind. Compared by some as the second coming of a movie like the unfairly-condemned 2009 horror film “The Human Centipede,” which repulsed even audiences who didn’t actually see it, “Tusk” could have played out its own nightmarish scenario in the same vein as “Centipede” and gotten away with simply being an unsettling film to watch. There is nothing funny about “Centipede,” and it’s clear director Tom Six wasn’t playing up the narrative for shits (pun intended) and giggles. With “Tusk,” though, Smith is pushing hard for the extreme grotesqueness of what he puts on the screen to somehow find its way into a whole other genre. Sure, there are hilarious moments in “Tusk” to go along with the stomach-churning ones, but Smith is never really quite sure which are which. Because of that, the film is left to suffer in a sort of tonal limbo. Where “Tusk” finds most of its footing is in the sharp dialogue Smith delivers in the first half of the film, especially with Parks’ insane character interacting with Long’s insufferable one. It’s like watching a spider teasing a helpless fly before it mercilessly bites its head off. That intensity is palpable as are the comedic jabs Smith sprinkles throughout. But once Smith begins to overexaggerate what is already exaggerated and then tries to hammer home a meaningful message, “Tusk” can’t find a way out of its own misery.